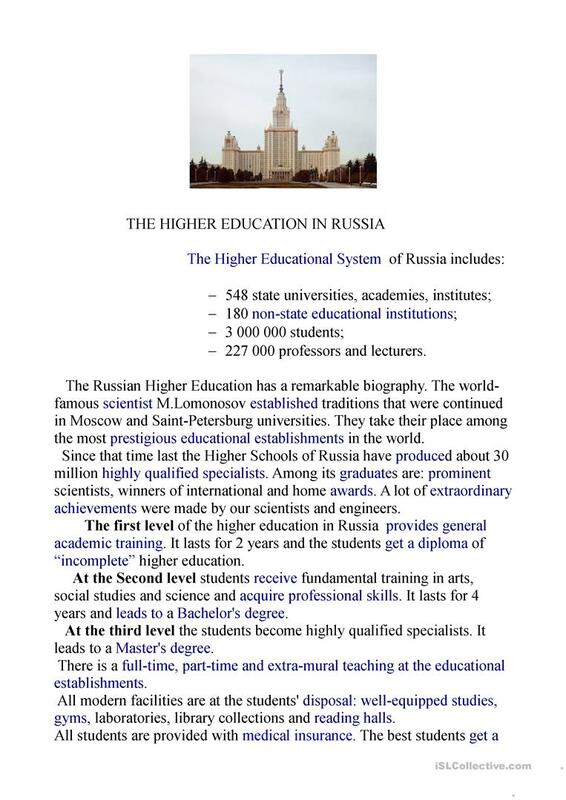 Higher Education in Russia.Passive Voice. 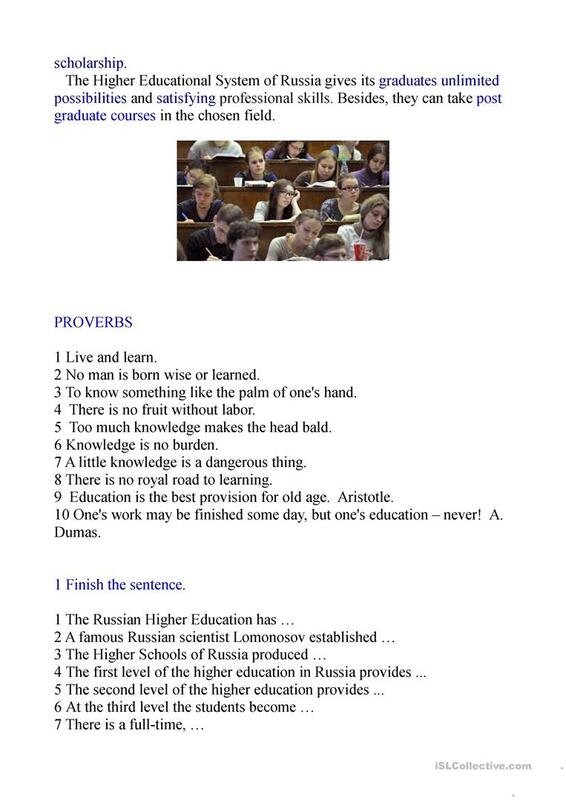 This printable, downloadable handout is meant for business/professional students, high school students and elementary school students at Pre-intermediate (A2), Intermediate (B1) and Upper-intermediate (B2) level. 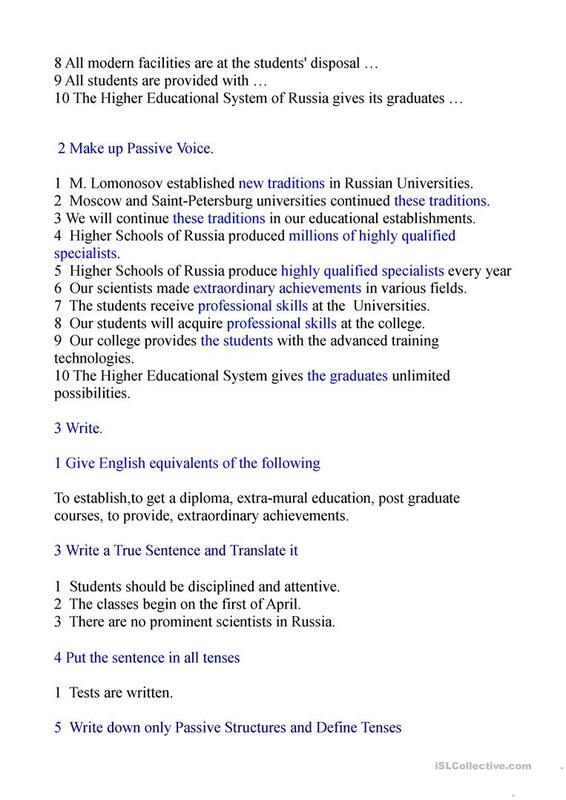 It is valuable for practising Passive voice or active voice in English, and is excellent for enhancing your students' Speaking, Reading and Writing skills. 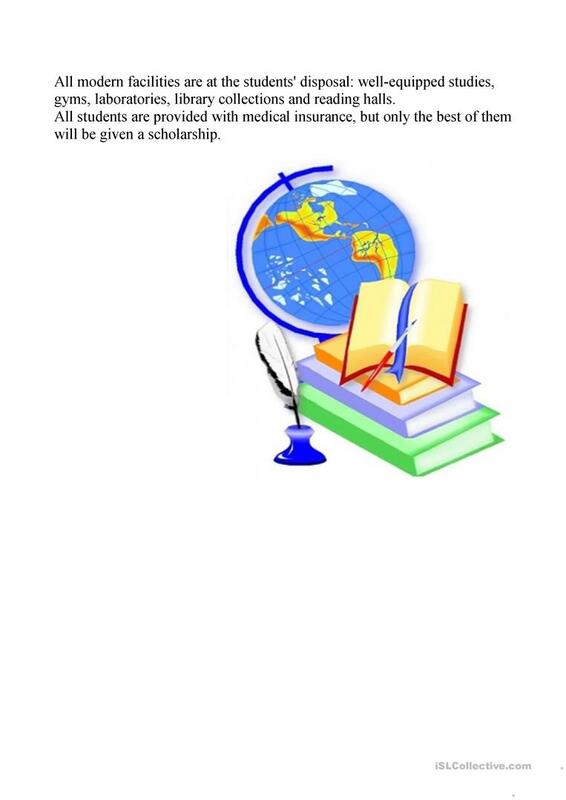 It centers around the topic and words of School.